On January 15, 2019, victims of the 2010-2011 post-election violence in Côte d’Ivoire were shocked, yet again, to learn that the Trial Chamber I of the International Criminal Court (“ICC” or “Court”) in The Hague had acquitted former President Laurent Gbagbo and the former Youth Minister Charles Blé Goudé of crimes against humanity allegedly committed during the crisis. The deadly violence resulted in the loss of over 3,000 lives and forced more than a million Ivorians to flee their homes. In a majority decision, the Chamber decided that the prosecution failed to provide sufficient evidence upon which a Trial Chamber could convict the accused. The Court further decided that the prosecution failed to reveal key elements that would establish a “common plan,” including the targeting the civilian population in pursuit of state policy aimed at ensuring Gbagbo remained in power. The Court also decided that the prosecution failed to illustrate how the public speeches of Gbagbo and Blé Goudé constituted “ordering, soliciting, or inducing” the commission of those crimes. In short, the prosecution failed, by and large, to prove its case against Gbagbo and Blé Goudé. Consequently, the Court ordered the release of the accused persons, but the Appeal Chamber suspended the release decision pending appeal. When the news of the acquittal by the Court broke, the pro-Gbagbo strongholds in Abidjan and other regions erupted in celebration. Gbagbo’s supporters had always argued that he was innocent. They believe that, given the current division in the country, his acquittal and eventual release will aid the national reconciliation efforts with which the country has been grappling for these past years. However, the victims who suffered serious human rights violations at the hands of forces and militias alleged to have been working on behalf of Gbagbo were furious. They did not mince words as they took to the streets in Abidjan to express their indignation. There were even protests in certain pro-Ouattara strongholds. The mixed reaction to the Gbagbo acquittal is symptomatic of the divisions that have held the country hostage since transitional justice efforts began. The Ouattara administration had assured all Ivorians equal treatment by promising accountability for past crimes, reparations for victims, and an end to impunity, including for crimes committed by the forces that supported Ouattara during the conflict. The Cellule Special d’Enquête et Instruction (Special Investigative Unit) was charged with investigating the post-election violations. But, to date, Côte d’Ivoire has failed to bring to justice alleged perpetrators of international crimes and other serious violations. In the only trial for gross human rights abuses, the prosecutor refused to include two emblematic co-accused perpetrators, and the trial ultimately resulted in acquittal of Simone Gbagbo due to the inability of the prosecutor to provide sufficient evidence. For almost two years, there has been no news about the pending appeal in this case. The failure to successfully indict perpetrators aligned with Ouattara has left the country divided. Before the ICC decision, President Ouattara issued an amnesty to crimes committed during the post-electoral crisis, which compounded the effects of impunity. It led to the release of approximately 800 pro-Gbagbo supporters who were subjected to very long pre-trail detention without charges against them, ending a form of partisan abuse of power. However, it is undeniable that Ouattara supporters will eventually benefit from the amnesty, too, since it bars future prosecution of all crimes committed. Even though such a broad amnesty contradicts Côte d’Ivoire’s international obligations and should be repealed by the Supreme Court, at the moment, it reaffirms the unwillingness to deliver justice to victims and to examine the nature of the political violence and crimes committed by both sides. By making impunity for one side depend on the impunity of the other, the Ivorian political elite has reached a convenient pact that shields all responsible from accountability. Failing to deliver justice, the Ivorian authorities have repeatedly promised to pursue social cohesion and reparations—both important elements in rebuilding post-conflict societies. However, proof of making good of these promises has been highly questionable. Most importantly, the authorities’ approach has been based on solidarity, rather than on an acknowledgment of the human rights violations and addressing the causes and the consequences of those violations. It has instead placed the burden on the victims to forgive, while their rights continue to be ignored. The reparations process has also been marred by series of blunders, and, so far, only very limited measures of reparations have been delivered to a small number of victims who were selected without transparent criteria. Cote d’Ivoire is at another crossroads. With the next presidential elections slated for 2020 and in a climate of heightening political divisions and disillusionment with the local judiciary and national reparations and social cohesion processes, the ICC acquittal could not have come at a worse time. However, the authorities do have the opportunity to make things right. The national authorities can still develop social cohesion measures through the prism of accountability, rather than forcing an insincere and incomplete reconciliation between victims and perpetrators. It could also finalize and publish the reparations policy and the list of victims, which would recognize these victims as rightsholders. The outcome of the Gbagbo case does not abdicate the state of its responsibilities to victims, which include, first and foremost, acknowledging the persistent effects of the violations on their lives. 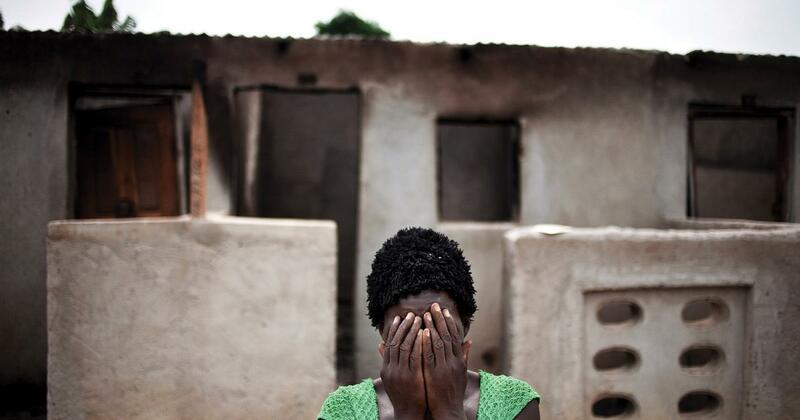 This entry was posted in Africa, Blog and tagged justice, victims, violence. Bookmark the permalink.